Actually…it’s not “new.” Our popular White Cabernet and Duet have a fresh new look! Variant: ‘verēant/noun: 1. A form or version of something that differs in some respect from other forms of the same thing or from a standard. Cabernet Sauvignon, the world’s best traveled red wine varietal, whose regional names span from Bidure to Vidure, attest to the adaptability and variability in wine making styles of this nobel grape. The Variant Series showcases the amazing array of possibilities when a craft winery can control all aspects of creating a wine from vine to bottle. The Variant Series Cabernet is similar in style to our Duet blend of lightly oaked, soft tannin and fruit forward Cabernet Sauvignon with a little Zinfandel to support the fruit and give a zip of spice. This is the red wine for those who thought they did not like reds. All the complexity and layers of a rich Cabernet but softer on the palate and can be chilled. The poster-child for variant behavior is our White Cabernet Sauvignon which is now appropriately in the Variant Series. The White Cabernet Sauvignon is an extreme example of the possibilities of vineyard and cellar influence on a wine, turning a traditionally rich, tannic, dark red wine into a white wine with aromas of fruit and melon, yet still retaining the rich mouthfeel of a classic Cabernet Sauvignon. 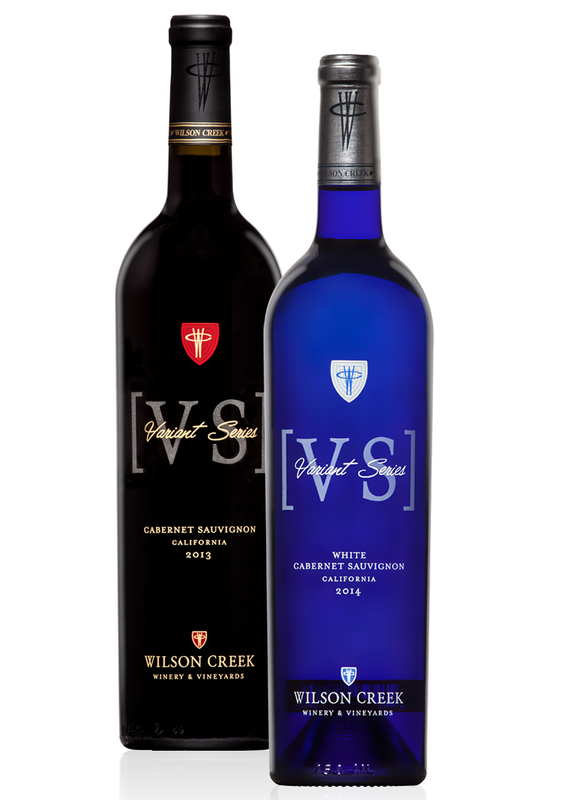 The “White Cab” still resides in its classic cobalt blue bottle but now with a clean silk-screened label and shares this new look with its fellow rebel, the Variant Series Cabernet Sauvignon. 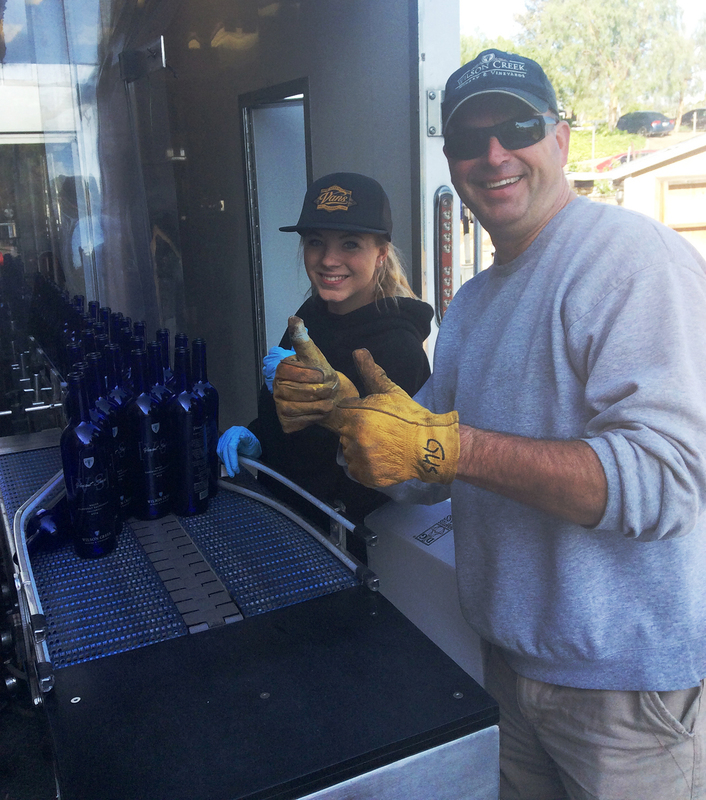 Winemaker, Gus Vizgirda and team member, Mikayla, bottling the Variant Series White Cabernet. 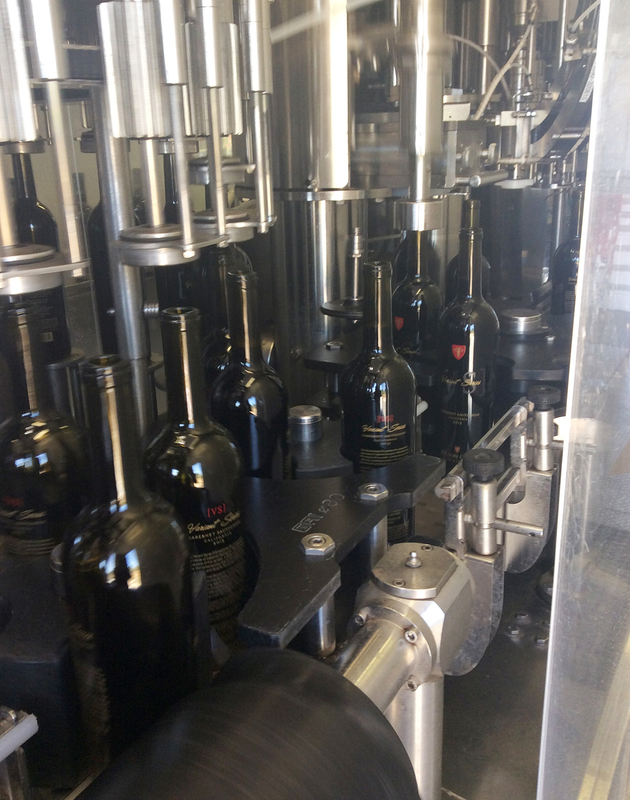 Formerly known as Duet, the new Variant Series Cabernet Sauvignon is being bottled. This entry was posted in Wine Musings and tagged bottling, Cabernet Sauvignon, Duet, red wine, Temecula Valley, Variant Series, White Cabernet, white wine, Wilson Creek, Wilson Creek Winery, Wine, Wine Country, Winemaker. Bookmark the permalink.